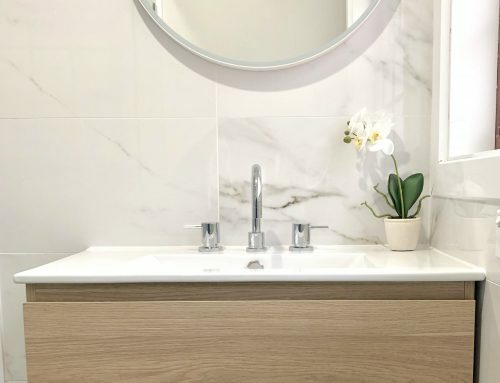 In most homes built in Sydney prior to the year 2000, the bathroom is usually what is considered a smaller space. It was traditionally a room for in and out daily hygiene. This shouldn’t come as a surprise as it wasn’t until around the 1950s, that homes had toilets under the same roof as the rest of the house. The old outdoor toilet (dunny) is now a distant memory. Trudging out to the toilet in the middle of the night in the freezing cold in winter and fighting redback spiders in the summer, are thankfully things of the past. 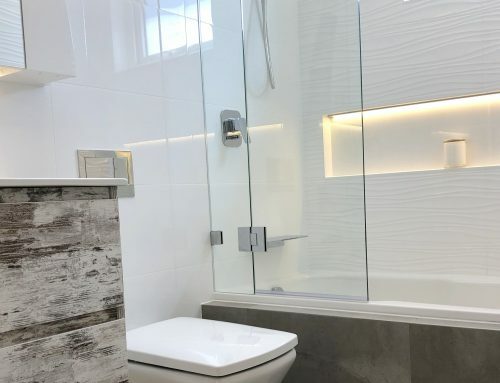 Today the indoor bathroom is not only what is currently considered one of life’s necessities, with the average home not only having a main bathroom but also having an ensuite to the main bedroom, the bathroom has become a room in which we can decorate to show our individual style but can increase the value of our home. 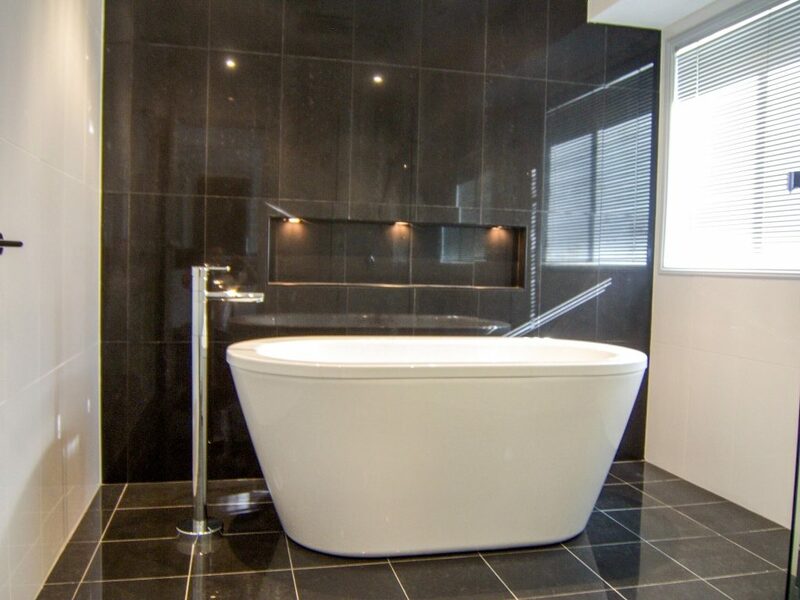 The bathroom too, has become a room that can be a “tell” as to the date of our home. 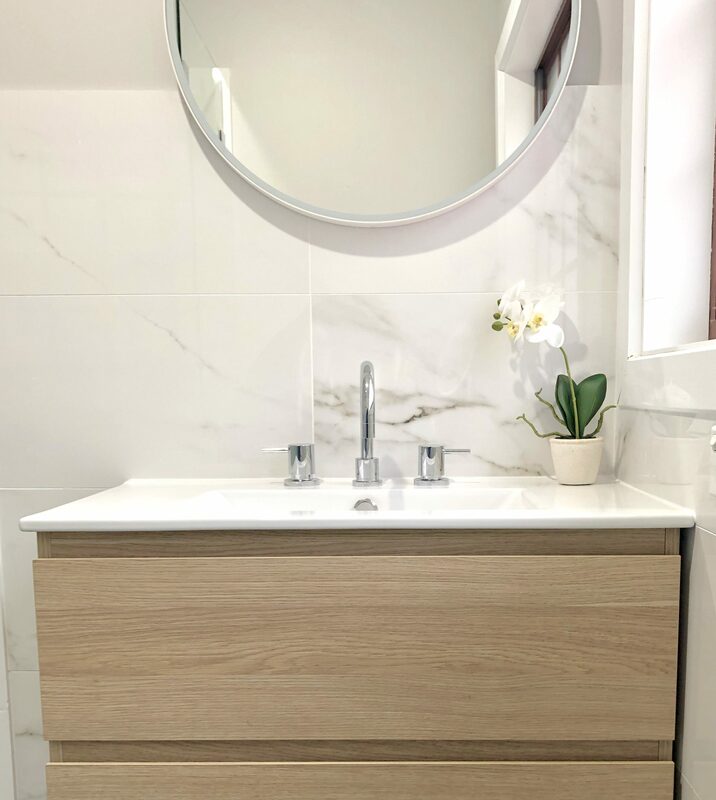 How many of us have judged someone’s home by the old fittings, tiles and colour schemes from years ago? Perhaps the word “judge” is too harsh a word. 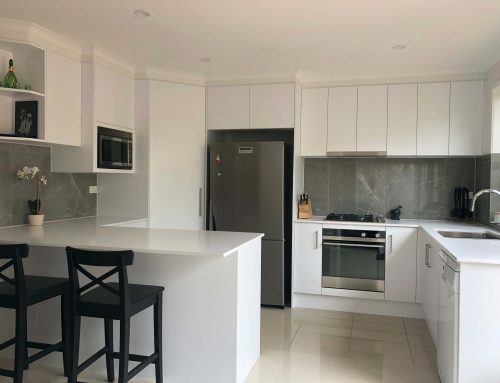 As renovators, it lets us know not only how old a home is, but more importantly if the home is from the “Asbestos” era. Of course we as renovators use other tests to ascertain this, it is however a “tell” just the same. 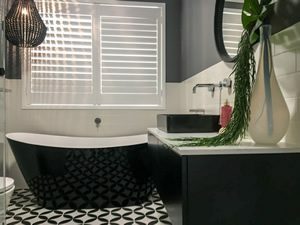 Timeless black, white and timber bathroom with large recessed shaving cabinet with modern sleek vanity- bathroom renovation by Master Bathrooms & Kitchens. 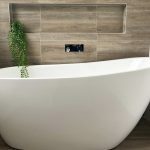 With keeping all of this in mind, when we renovate or remodel our bathroom, we want to keep it looking not only new but chic and relevant for as long as possible. We have all witnessed fashion come in and out of style. Flared jeans, platform heels and fluorescents have all come and gone and come back again just in my lifetime. It is no different with home decor. 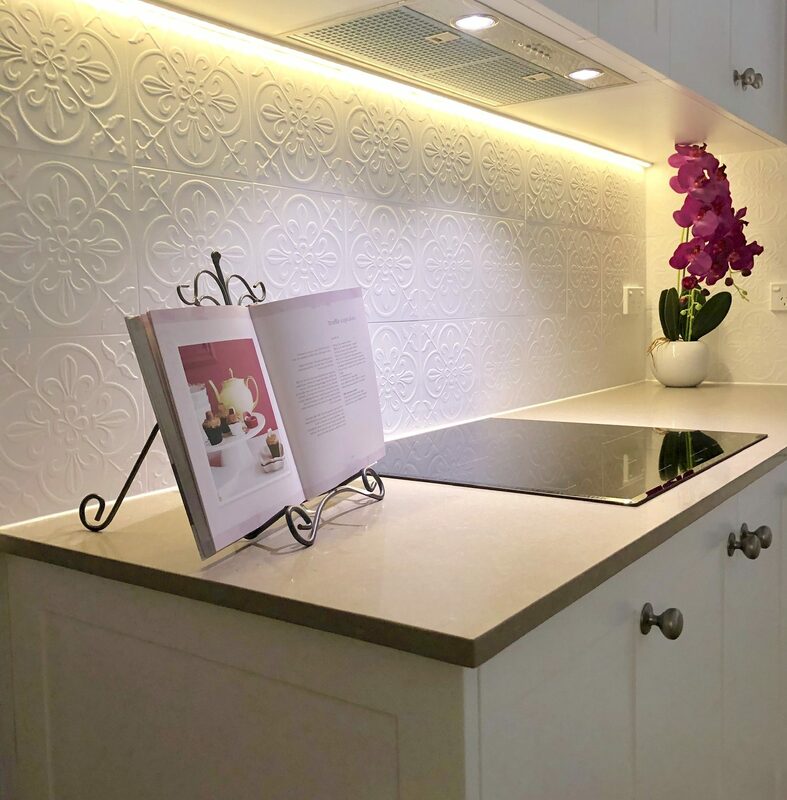 Once upon a time mosaic tiles were considered “old” before making a huge comeback recently, though this time not as a floor tile, but as a decorative wall tile. The old “Mission Brown” colour ten years ago was considered simply awful, and we all went to great pains to be rid of it, repainting and retiling our homes the more fashionable “apricots” and “pastels” that were the rage. This keeping in “fashion” when it comes to renovating, is however way more expensive than throwing out your corduroy jeans, only to buy another pair 8 years later. 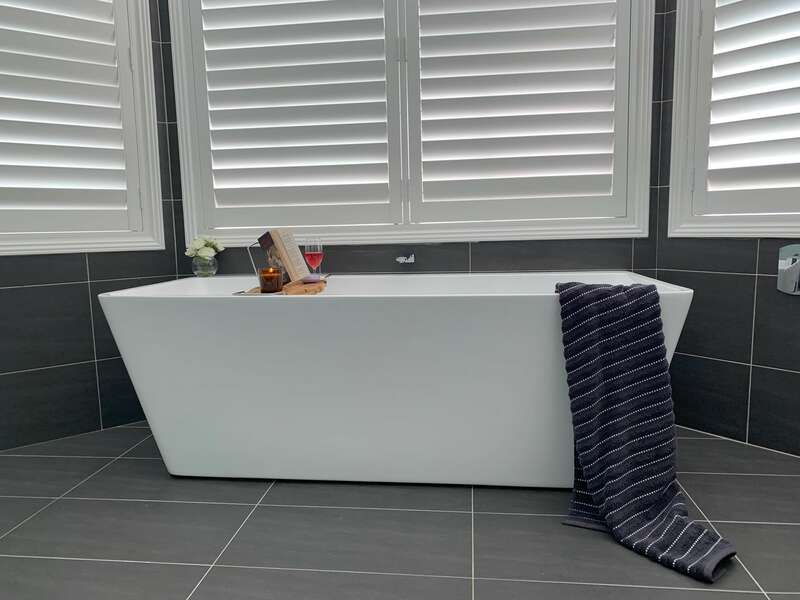 This is why, when we at Master Bathrooms & Kitchens are asked by our customers for suggestions for colour schemes, we advise to stick to the classics. Blacks, whites and neutrals never go out of style, and they have the most stunning outcomes. You only need to look at our website, Facebook or Instagram page to see the proof. 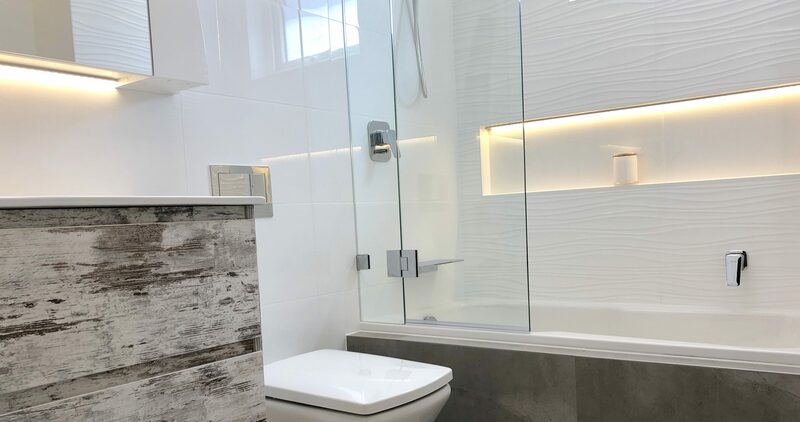 Stunning white and neutral bathroom – renovation by Master Bathrooms & Kitchens. 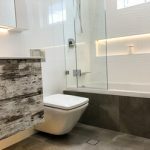 Gorgeous timber tiles with white single slipper free standing bath with timber tile feature wall with decorative niche – bathroom renovation by Master Bathrooms & Kitchens. Even in the fashion industry there are those certain items that have never gone out of style. The “little black dress”, the “A-line skirt”, the blazer and the ever classic “bootleg denim jean”. These never went out of style quite simply because they are “classic”. 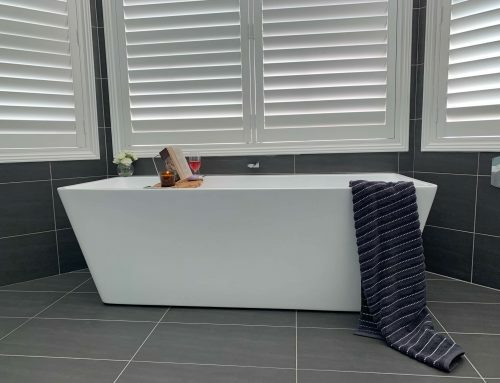 It is easy and inexpensive to add a vase, candle, towels or even a new blind in the latest “chic” colours to blend in with whatever you’ve recently decorated your home in. 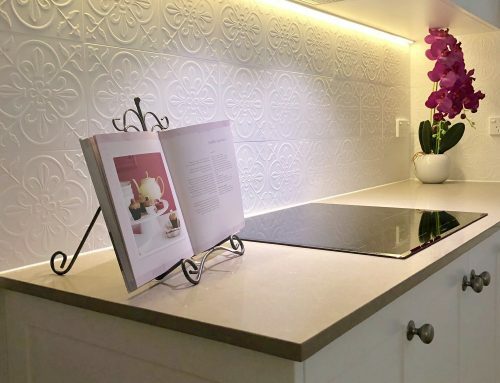 However getting rid of that “Apricot” coloured wall or those “sea shell” border tiles that were in fashion just a few years ago, is not. 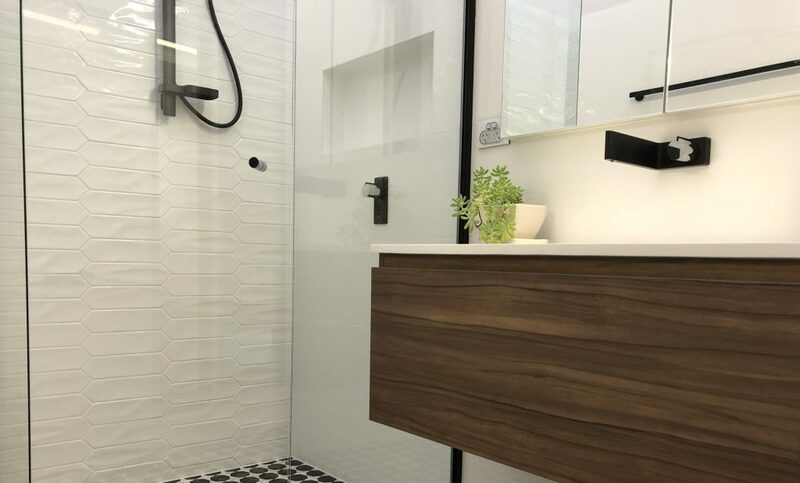 So when you are out shopping for your tiles and PC items for your new bathroom remodel/ renovation, be sure to stick with the “classics”. 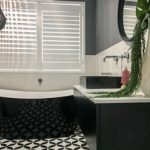 Master Bathrooms & Kitchens is a family owned and operated bathroom and kitchen renovation company that has been renovating homes beautiful since 1995. 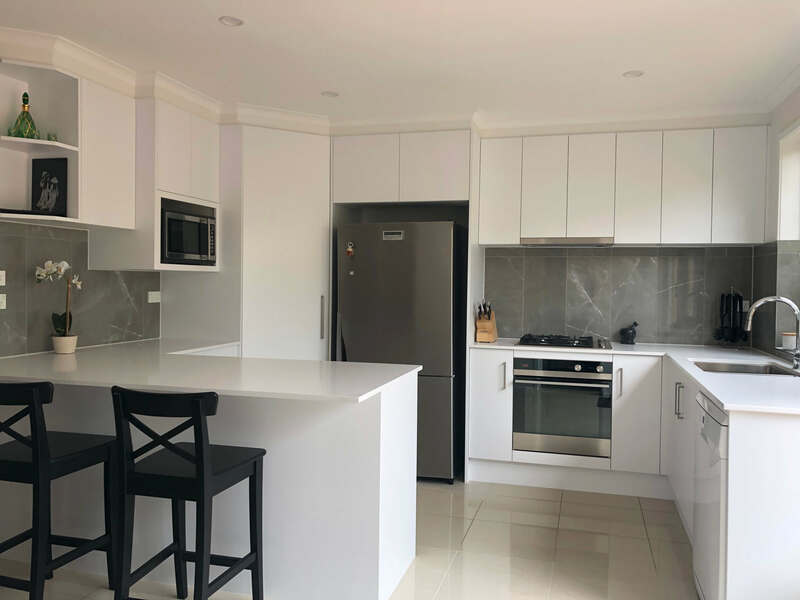 Be sure to peruse our website for more renovation inspiration or call us on (02)9899-9330 for a quotation today!